The world war that followed was not a faraway event. It became ever present here in Southern California, and even in the lives of those of us too young to serve in it. Practice air raids almost immediately became common in Los Angeles. Sirens announced that homeowners should shut off house lights. Mother rapidly put up heavy black curtains to cover the windows. Helmeted air raid wardens wearing armbands walked down the middle of our street checking that no interior house lights were visible to them. A December 11 front page story in the Los Angeles Times headlined “City’s Black-Out Called Success” reported that a “gigantic black-out covering the area from Bakersfield south to San Diego” had gone into effect after 8 p.m. “A yellow signal indicating the approach of enemy planes was flashed on the state-wide police teletype.” At Ft. Macarthur, anti-aircraft gunners scrambled to their weapons and the Army reported sending up its own planes to investigate. To help “the war effort” citizens collected and turned in old automobile tires, metal pieces, inner tubes, scrap metal, cans of cooking grease, newspapers, and the little sheets of aluminum that served as wrappers for chewing gum. We turned in baseball-sized collections of the shiny metal. Ration books were issued with coupons that allowed us to buy scarce items like shoes, sugar, meat, and gasoline. Mother invariably traded our meat and sugar allotments for additional shoe coupons, since she had many growing children. In the corner of automobile windshields, drivers displayed decals with A, B, and C printed on them. The decals represented how much gasoline one could purchase in a given time. We didn’t own a car so gasoline was no problem for us. After 1941, the skies above Los Angeles filled with planes. We learned to identify the B-17 Flying Fortress, a bomber, from its regular flights. My favorite airplane was the twin fuselaged P-38 fighter that Lockheed Aircraft produced in nearby Burbank. Northrup Aircraft and Douglas also built planes in our area. Production of civilian automobiles ceased in 1943 to devote resources to the manufacture of airplanes, tanks, ships, jeeps, trucks, and other weapons of war. 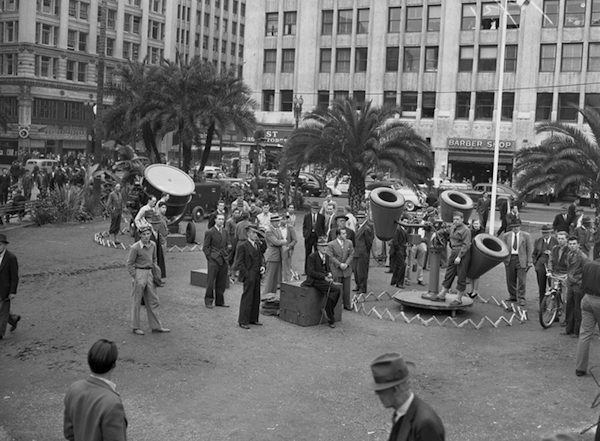 Listening post and air raid lights positioned in Pershing Square, Los Angeles, 1941. 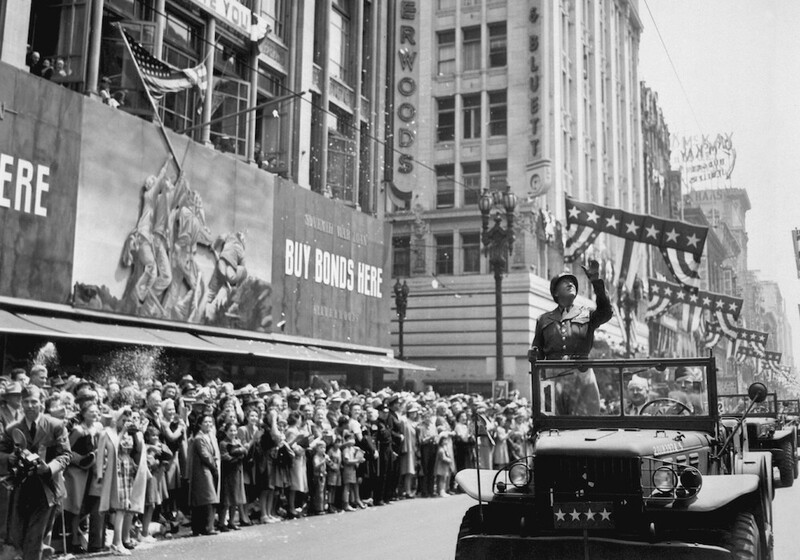 Popular songs evoked the war directly: “Praise the Lord and Pass the Ammunition,” and “Coming in on a Wing and a Prayer.” Sentimental songs about loss and loneliness were popular: “I’ll Walk Alone,” “I’ll Be Seeing You,” “Don’t Sit Under the Apple Tree (with Anyone Else but Me)” among many others. Movies with names like Back to Bataan, A Walk in the Sun, Guadalcanal Diary, Battleground were popular, but not with me. I must have known that they were largely fiction and stayed away. The war gave children, especially boys, a new vocabulary: Blitzkrieg, Stukas, Zeros, Panzers, Spitfires, the RAF, battleships, aircraft carriers, the Maginot and Siegfried lines—concrete defenses that protected neither France nor Germany. I listened to radio reports of the war with my father but got only a scattered idea of what was happening. Names like Dunkirk, Iwo Jima, Wake Island, Stalingrad, Midway, meant little to me. I needed to visualize the war so I got into the habit of going downtown to the Tower Theater that showed hours of newsreel war footage. 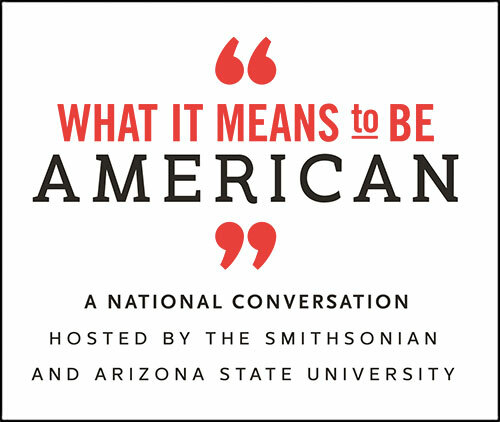 Still, radio voices like those of William L. Shirer, broadcasting from Berlin, and Edward R. Murrow, broadcasting from London, along with his CBS colleagues Charles Collingwood, Richard C. Hottelet, and Larry Lesueur all became very familiar to me. At certain times, the war receded from constant attention, though I knew it was there and wondered at times if it would ever end. I worked after school and summers, beginning at age nine, and knew my earnings would help the family. I worked in a little grocery store for a German immigrant named Fischer, in a furniture finishing shop, in a bakery that made fruit tarts, and in a print shop. 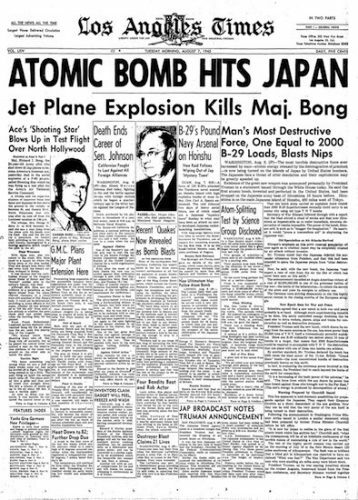 The front page of the Los Angeles Times, Aug. 7, 1945. My father and mother both worked, he as a glazier and she in the garment industry in downtown Los Angeles. Father worked all through the Depression and the war. Despite their joint efforts there was never enough money for our growing family. Wartime was more difficult for us than the Depression had been. I also sold newspapers, a chore my brother Raul did with me at the intersection of Slauson Avenue and Main Street. As I stood on my corner, I made it a practice to read headlines and bits of the front pages of several papers. One item I recall reading was of the raid that General Doolittle led to bomb Tokyo on April 18, 1942. Sixteen B-25 medium bombers made the raid. I learned that Doolittle had graduated from nearby Manual Arts High School. I worked later at a liquor store located near the corner of Vernon Avenue and Wall Street. Times were getting better if one judged them by the number of bottles of liquor we sold. That would be 1944 or so. The owner discovered a clever stratagem. If a customer wanted to purchase a case of high-quality bourbon or Scotch, he also had to buy a case of sloe gin or apricot brandy, liquor that had sat in the back storeroom for years. As workers flocked into Southern California to work in defense plants, housing—particularly for large families—became difficult, if not impossible to find. The year 1944 found us living in places that made me feel ashamed. One day in November when I was home alone, two men dressed in business suits came to the door. They said that they were from a charitable agency and had come to give us a turkey. I must have blushed at the sudden realization that strangers knew of our plight and considered us poor. I told them that we did not need a turkey and closed the door. When I heard the news of the surrender of Japan on the radio after the two atomic bombings, I was alone at home and went out onto the street, feeling the need to be near other people. Little groups were gathered there to celebrate the end of the Second World War. I was 15 at the war’s end, and, with one exception, had never met anyone who had seen combat. That changed when, at age 20, I began working at the U.S. Post Office, Terminal Annex Station. There I worked with several veterans. One was Gus Oelrich, a chain-smoking native of Cleveland who was forever ribbing me about how Los Angeles had stolen football’s Rams from his hometown. Gus was a paratrooper and veteran of the 82nd Airborne that had preceded the sea invasion of Normandy on June 6, 1944. Bernard Rensky was a solid fireplug of a man who fought in Germany. He liked to tell the story of an experience he had there in the waning days of the war. Tramping along a road one day he heard sounds in the trees above him. He looked up and saw a German soldier whom he motioned to descend. Rensky saw immediately that the soldier was a mere boy. Rensky paused until I asked him what he did then. “I shot him,” was his reply. Leo Strauss was a large man who worked part time as a test pilot for Northrup Aircraft. In 1939 after deciding that he wanted to fight the Germans, Leo went to Canada and joined the Royal Canadian Air Force. His wish was fulfilled and he saw combat. When the United States entered the war, Leo flew fighter planes for the Army Air Corps. When I worked with him, Leo was always dead tired and often fell asleep on his feet. I held those men in awe. I still do. *Lead photo courtesy of National Archives and Records Administration/Wikimedia Commons. First interior photo courtesy of Los Angeles Times/Wikimedia Commons. Second interior image courtesy of Los Angeles Times.